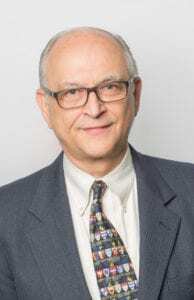 “There is more art than money” paraphrasing a quote by a noted numismatist Max Mehl. The two currents in that statement are that there is an abundance of good art at affordable prices. The key is to focus and focus on what pleases you. My first real exposure to fine art was at Augustana College when I elected to take a pottery course by noted sculpture Egon Weiner, who also taught at the Art Institute of Chicago. He was supportive and forgiving, never taking a condescending or highbrow approach to appreciating art. I started to collect in college and after marriage to Beth, had trouble locating many pieces that I acquired. I guess she acted like a filter. It was my return to the Czechlands in 1990 and thereafter that I decided to focus on Czech and Moravian artist Joža Uprka. I recognized him as a pure bred to me. My parents often had calendars with depictions of his works represented in the late 19th and early 20th century of ordinary people’s lives. The scenes were bucolic and traditional, nostalgic to the disruptive forces of urbanization and industrialization. His style in his works progressed from the tight and earth tone look of the Munich school to a more flamboyant and robust style, rich with colors, looser in brush stroke that were exciting, belying the French Impressionist influence he was exposed to while in Paris. I bought my first Uprka in 1990 and had it professionally restored and reframed. That began the addiction. If you have one, two would be better and so on, right? Then you need a range of works to explain the development of the artist, his styles and media, prints, etchings, drawings, watercolors and the like. A good addict also needs enablers. So I searched for those that could help. Henry Skacel introduced me to the artist’s granddaughter Eva Novakova.  From there I networked with reliable dealers, auction houses, private parties and collectors. Most notably I had befriended Evzen Sknouril of Prague and Henry Skacel of Brno, mentioned earlier. These gentlemen helped introduce me to collectors and artists and to family members of artists. One such person is Dr. Petr Vasat who organized the largest collection of Uprkas and as he claims the largest exhibition dedicated to one artist in the world. That is the Uprka Gallery in Uherske Hradiste. It is an amazing place, having visited it in December of last year with my son, Charlie. I also want to claim Lee Freeman as an enabler, who introduced me to the appreciation of Czech contemporary art. I see that as a progression from the Uprka works to more expressive and interpretative works, originated by artists [including women] who lived in exile or captive in a system that limited freedom to express oneself. I was introduced by example to Hana Lhotak Mondelli, the granddaughter of Kamil Lhotak. The NCSML premiered his “Amerika 1951” prints in 2014. 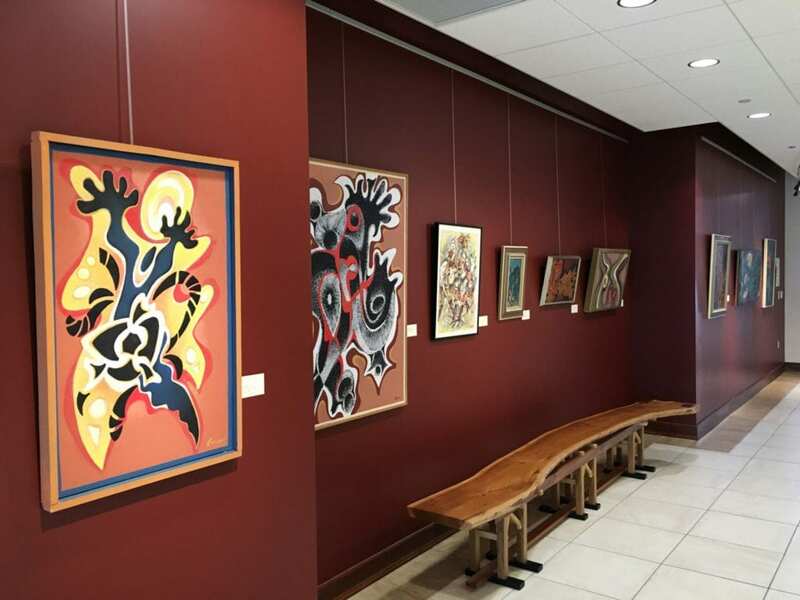 The other example is the current display of Borek Bayer now exhibited in the Anderson Gallery. My wife and I along with grandson Jack met him in Brno in 2011, through Henry Skacel. I asked what style would you describe your works? Post-Impressionist, Expressionist, Abstract, etc? “These are Bayerism or Bayerist style paintings,” he said, “purely original and my own style.” He was quick to take ownership. We also talked about painting in the times of the Soviet hegemony. He said he had not political meaning in his works, only his feeling and expression, although he did spend some jail time. So now the NCSML has much to share with the public thanks to the great help of Henry Skacel and of the Bayer daughters who were so cooperative with the project. 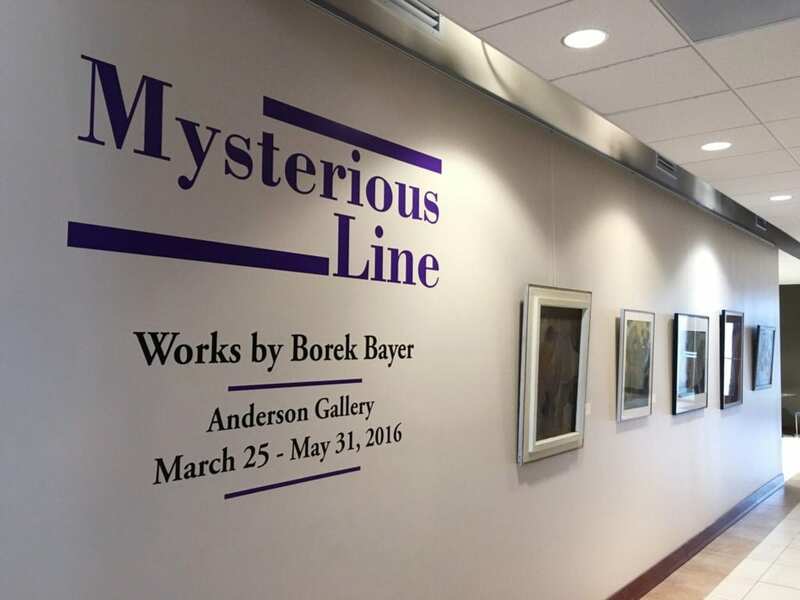 Be sure to see Mysterious Line: Works by Borek Bayer before it closes on May 31 in the Anderson Gallery. See you soon! What a fascinating journey you have been on–and take the reader and the viewer on–with your words and the art you share. Thank you for ALL of it!